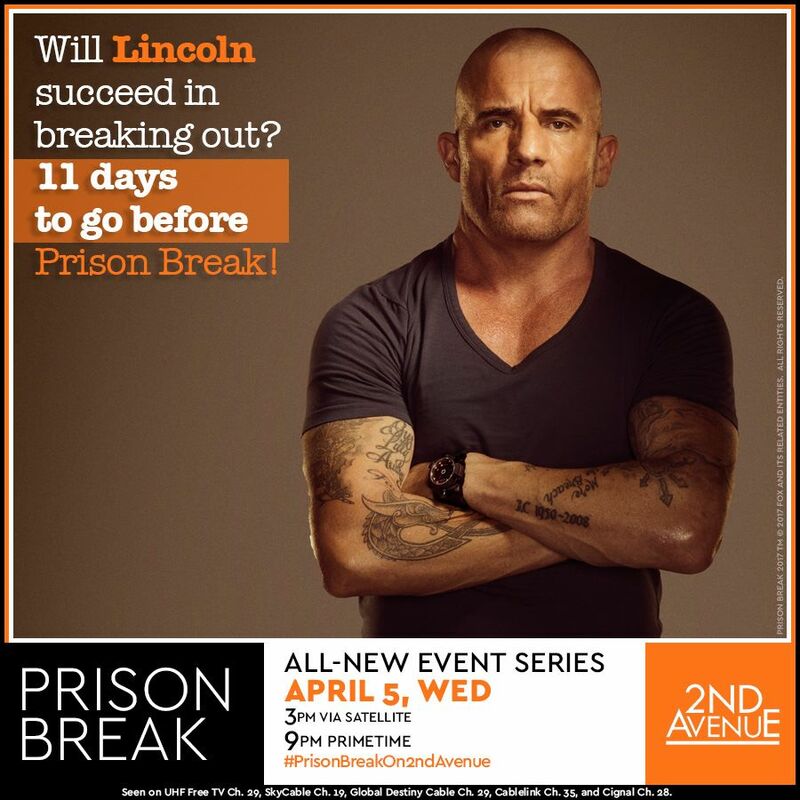 Let us take a pause from movies for a while and talk about the return of a hit television series created by Paul Scheuring - Prison Break. It was originally aired by Fox and made its initial run in 2005 and lasted up to 2009, having at least four very successful seasons. 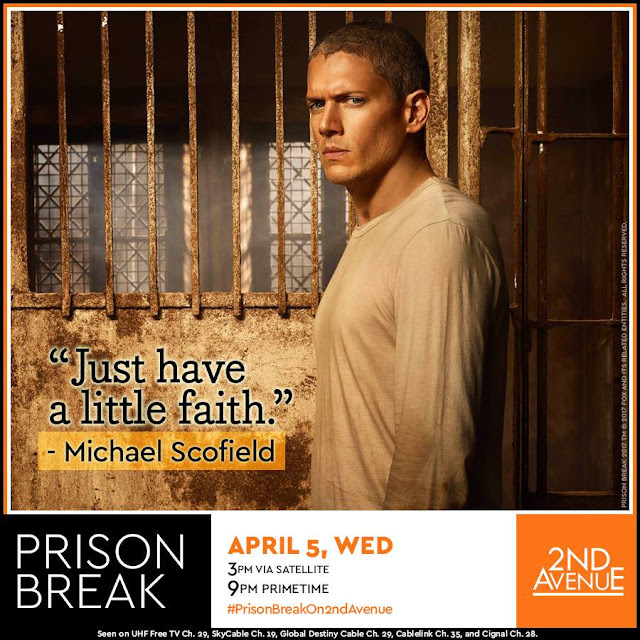 This April 2017, Prison Break returns for its fifth season with nine (9) heart-pounding episodes. 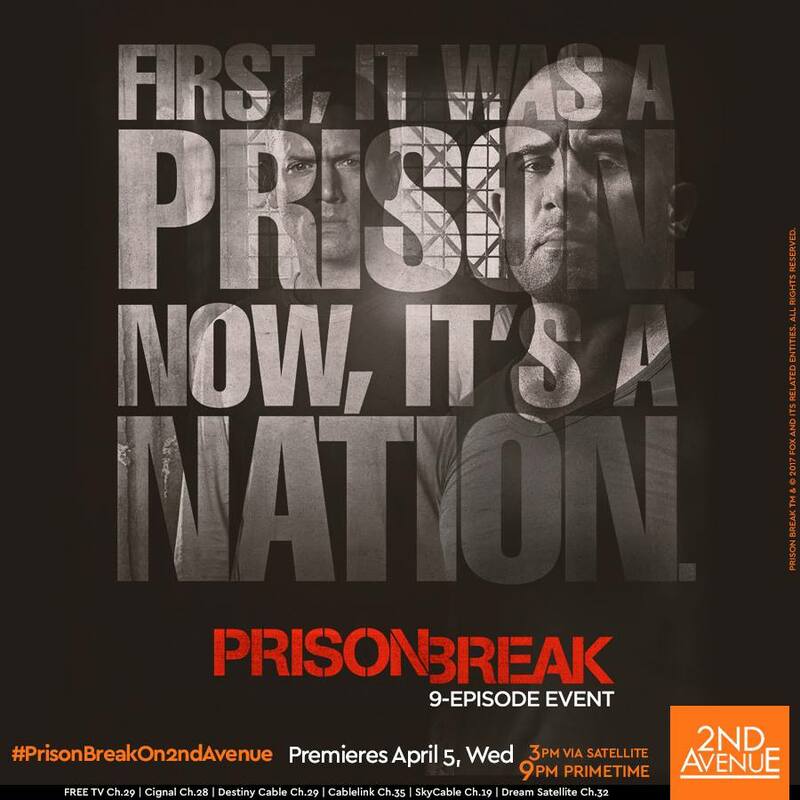 In the Philippines, the all-new PRISON BREAK returns exclusively on 2nd Avenue. The premiere of PRISON BREAK was held last April 5, Wednesday via satellite at 3 PM and primetime at 9 PM. 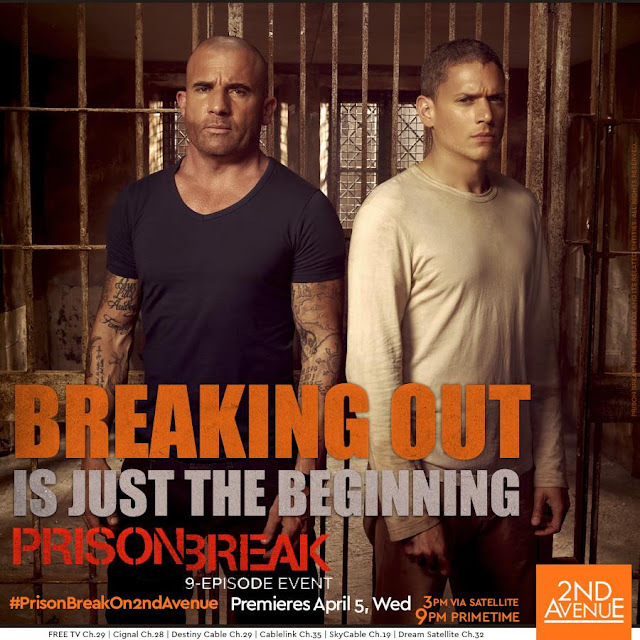 It was really thrilling and I just can't wait for the next episode to the aired. 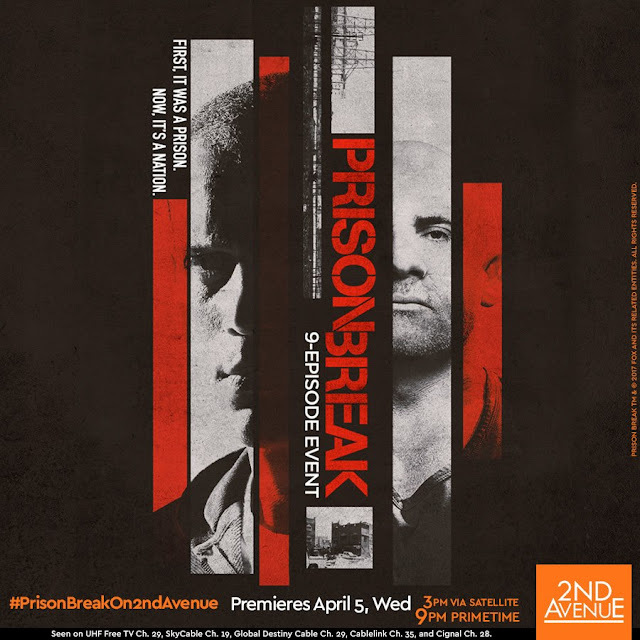 Join the conversation at #PrisonBreakOn2ndAvenue. You can check out 2nd Avenue on http://2ndavenue.ph/, www.facebook.com/2ndAvenue, and follow them on Twitter via @2nd_Avenue and on Instagram via @2ndavenuetv. 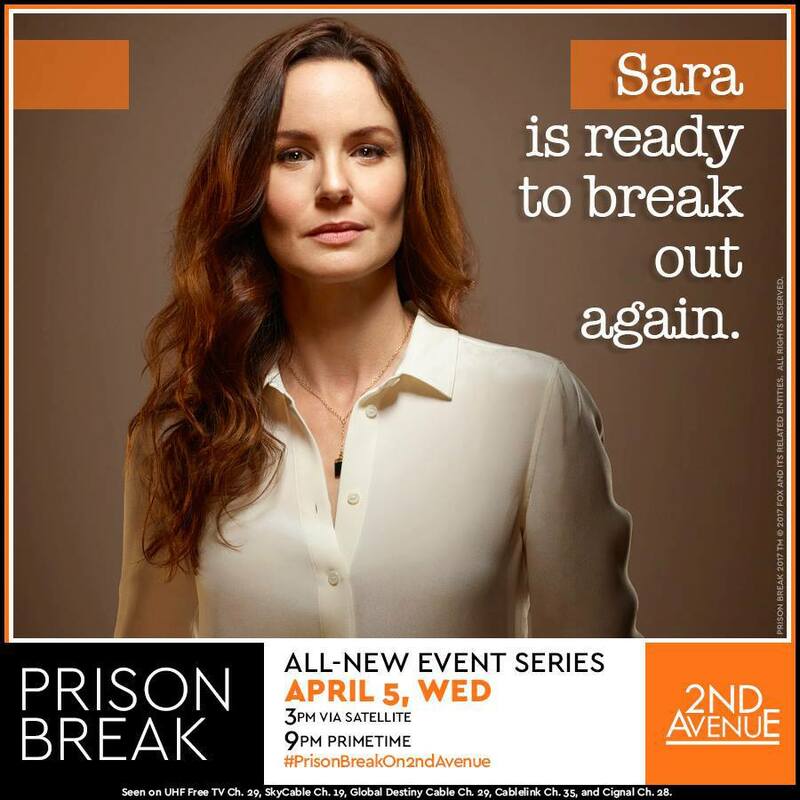 Prison Break on 2nd Avenue is made possible by Solar Entertainment Corporation. It is the largest content provider and channel operator in Southeast Asia. It is committed to elevating the network to a global standard and maintaining Solar as a leader and innovator in the industry. Until today, Solar continues to widen its programming to meet the demands of emerging audiences.